Do you like the title? By using the following step-by-step approach, it will make your blog index quicker in the search engines, build powerful backlinks and can provide a steady stream of organic traffic. RSS Directories hold millions of links to websites and blogs and are some of the most visited websites on the internet. By adding your blog’s RSS feed to the RSS Directories, every future blog post you add to your blog, will automatically be added to the RSS Directory. And that means it could potentially be seen by thousands of visitors and your blog will receive a powerful backlink from the RSS Directory. You only have to add your blog’s RSS feed to the RSS directory once and everything is set up to work automatically. Every time I add a blog post, the RSS directories will be automatically updated and provide my blog with a powerful backlink which helps rank my site and gets my blog indexed very quickly. 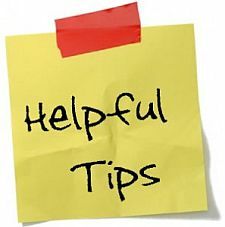 Powerful tip: You can also add your Twitter Feeds, Ezinearticles feeds, Hubpages feeds and numerous other sites. However, don’t add all these RSS feeds in one day, otherwise Google may think you are trying to ‘spam’ the search engines. Just submit your main blog feed to all the RSS Directories on one day, then a day or 2 later add another feed, then a day or 2 later, another feed, etc. Remember you only have to submit your feeds once and from then on, everything is automatic. What would be best to use, yoursite.tld/feed or your feedburner feed to submit to these RSS directories? I don’t believe it would make much difference. Andrew recently posted..How I Pulled In 1,990,112 FREE Visitors & Banking In Over $7,885 Every Month Or More In Just 100 Days! Nice article… I read your every blog post, and i observed one thing, your all blogs are unique and informative. I like that type of informative blogs specially for ranking issues. Now a days doing seo is more harder due to google panda and penguin aupdates, but your tips are such nice way to avoiding these updates. Thanks for sharing. Hope i got your next blog post earlier. Regarding the ‘powerful tip’ section are you able add your Hub Pages feed to all the RSS Directoriees that you provided or just ‘feedage’? Add all your feeds to as many RSS directories. Andrew recently posted..If You Could Only Have One ‘Blogging’ Question Answered What Would It Be? Just to let you know feedage and rssmountain are the only directories that are still live. Plus rssmountain doesn’t accept hub pages. Thanks for letting me know. It looks like FeedAgg is also still live. I have changed the post accordingly. Thanks for your great sharing… I hope it will work. To index a post in my blog its takes a long time. Hope this problem will be solved. Thanks a lot for this great tips,just i submitted my site to RSS,what will be the result,i don’t know,i am waiting. Hi Andrew, I have to tell you – I submitted my FSS feed to Feedagg and Feedage yesterday and today I have the best traffic than I’ve had for weeks! I don’t know if this will continue tomorrow, or if this is due to something else I did, or just by chance, but thanks for these tips. This is one of the best (and easiest tips) I’ve seen for a long time. I tried to submit to rssmountain but I couldn’t find their website for submitting feeds. I could only find a whois bucket. Wow! But I wonder if it is coincidence! I think since I wrote this post rssmountain is no longer. Andrew recently posted..Should Your Videos Have Intros and Outros? Can you give me some extra advice? You will have noticed that in my previous Comment I used my blog name and not my own name. How do you feel about that? most of my backlinks come from Commenting on other blogs in my niche and using the name carolm. That means that my highest Anchor text word is for carolm which is totally useless in terms of branding for my blog. How can I comment on blogs and still get some anchor text advantage? Not to mention anchor text diversity, which Google says you must have. On CommentLuv blogs (like mine!) you can use name@keyword phrase as the author name. CommenLuv picks up the keyword phrase and creates a backlink using it. I read on many blogs about backlinks through rss feeds but it was not clearly mentioned on those blogs that how can i do that exactly. thanks for explaining it step by step. good news is before writing this comment i successfully submitted my blog in 5 rss directories. Great, Jessie… I hope it is worthwhile! It can take a few weeks before Google will index your site. I do this from day one of starting my blog, so no real traffic spikes. However, it does build backlinks very quickly.